This past Friday, we finally had our new dentist sign installed. 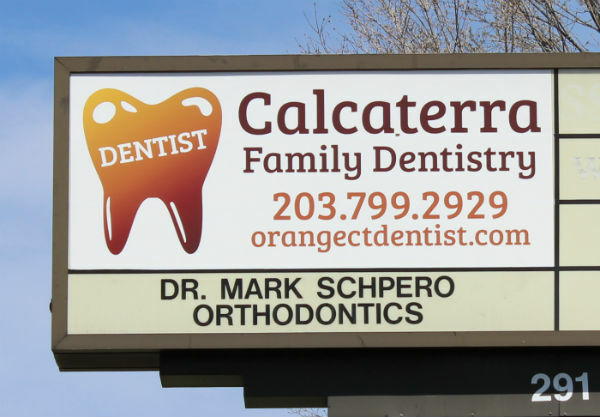 The large font size combined with an orange tooth makes it visible from the Post Road in Orange. With our convenient location and family friendly hours, our office can serve the dental needs of families from Orange, Woodbridge, Milford, West Haven, and more. And now we are even easier to find! We can provide a gluten free dental visit! As the first dentist office in Orange and one of the few in Connecticut publicly offering a gluten free dental experience, we stay on top of many of the issues facing individuals with either celiac disease or gluten sensitivity. Gluten can sneak its way into your mouth from a variety of dental products – from topical fluoride to toothpaste to topical anesthesia. When this occurs in patients with celiac disease, it can cause serious side effects. 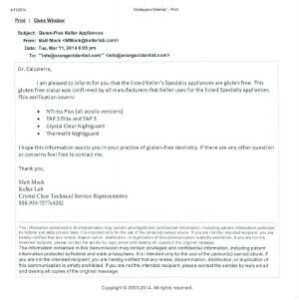 We recently learned of a case of a 9 year old female with celiac disease whose orthodontic retainer contained gluten. The complete details can be found in this paper published in a Pediatric Journal. But to summarize, this young female was diagnosed with celiac disease through multiple tests. But despite the elimination of all dietary sources of this wheat protein, her disease continued. It was finally discovered that her orthodontic appliance contained gluten. On identification and subsequent elimination of this factor, her disease went into remission. In general, dental appliances that are colored are more likely to contain gluten. This is a broad generalization though and exceptions likely exist. 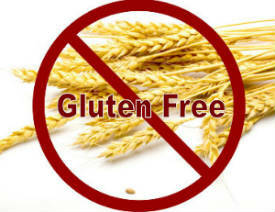 We treat dozens of patients with celiac disease, and we are vigilant about what we put in their mouths. This includes nightguards (special appliances worn at night to prevent clenching or treat headaches from grinding) and sleep apnea appliances. In working with our lab, they certified that their appliances are gluten free. They completely analyzed their fabrication process and the machines they use. Our lab also contacted their suppliers to ensure that they did not incorporate this wheat protein into the raw materials. 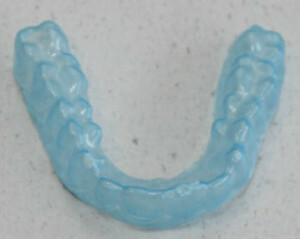 The end result is that we are able to offer our patients nightguards, sleep apnea appliances, and certain orthodontic retainers free from gluten. If you have celiac disease and would like to become a patient in our office, call (203) 799 – 2929 or visit this page.